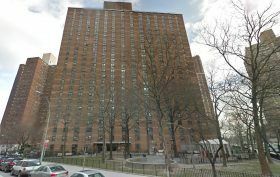 Three NYCHA developments on the Upper East Side ranked among the worst in the U.S. 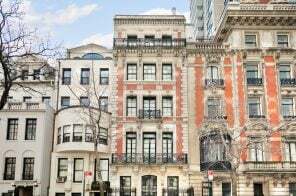 The federal government ranked three Upper East Side public housing buildings as some of the worst in the United States, the New York Post reported Monday. The Department of Housing and Urban Development (HUD) gave the Holmes Towers, the Isaacs Houses and Robbins Plaza just 25 points out of a maximum of 100 as a measure of quality following recent inspections. Out of the more than 3,800 scores counted by HUD last year, the three complexes tied for 13th worst in the country. 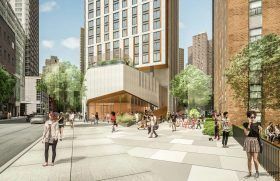 After over a year-long debate, the city has finally unveiled renderings of a mixed-income tower set to rise on an existing playground at the Holmes Towers public housing complex in Yorkville. 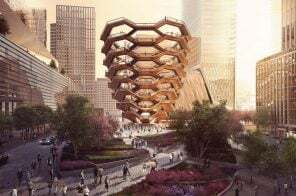 The New York City Housing Authority’s plan, which falls under the city’s NextGen program, will construct a 47-story building among the complex on East 93rd Street, as well as a new 18,000-square-foot recreation and community center run by Asphalt Green (h/t DNA Info). The new building will feature 300 total units, with half of them at market-rate prices and half of them affordable. 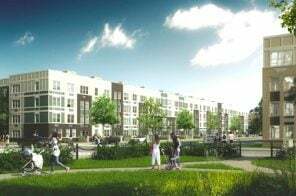 However, an alleged plan to separate the floors by income level, as well as the fact that high-end housing is coming to a low-income site where the community wasn’t consulted, has sparked a good deal of controversy. This past spring, the de Blasio administration revealed plans to lease “empty” NYCHA land–parking lots and grassy areas–for the creation of market-rate housing, which certainly ruffled the feathers of affordable housing advocates. 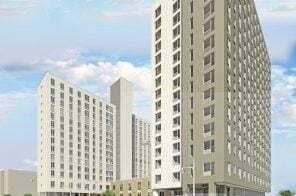 Though the proposal hasn’t been set into motion city-wide, it is taking shape at one housing project on the Upper East Side, the Holmes Towers on 92nd to 93rd Streets and 1st to York Avenues. As the Daily News reports, NYCHA recently “described tenant support for the plan to let a developer build 300 units — half market rate, half affordable — where the Holmes playground now sits.” But this “tenant stakeholder committee” says they feel very differently.